Maxis Group Continues Growth Course Year-on-Year Group Revenue Up 19%; Net Profit Grew 19%; Future Growth Opportunities with Additional New Licences in India Kuala Lumpur, 22 November 2006 – Maxis Communications Berhad (“Maxis”) and its subsidiaries (“Group”) continued its growth course, registering robust double digit revenue growth of 19% to arrive at RM5.59 billion in revenue on the back of strong performance from the Malaysian and Indian operations. 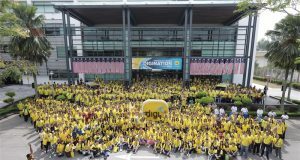 The Group’s subscriber base increased by 80% to 12.7 million with 1.8 million subscribers added year to date by the Malaysian operations, and with 3.8 million subscribers contributed from the Indian operations. The Group’s Profit before Tax (“PBT”) of RM1.97 billion was RM112 million or 6% higher than the corresponding period in the preceding year. The higher earnings were primarily fueled by continuing strong performance from the Malaysian operations, which registered a RM180 million higher PBT, and the fast-growing Indian operations, which contributed RM110 million to PBT. These were partially offset by RM178 million start-up losses in the Indonesian operations to-date, in preparation for the commercial launch. 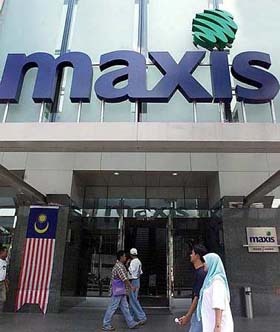 Net Profit, which is Profit attributable to Equity holders of Maxis, climbed 19% from RM1.22 billion to RM1.46 billion due to lower income tax charges and after adjusting for minority interest share of losses in the Indonesian operations. 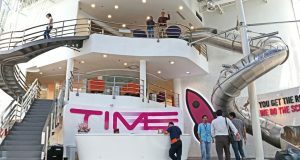 Revenue increased by RM423 million or 9% to RM5.11 billion on the back of hardy growth in the subscriber base, reflecting an increase of 1.8 million or 26%, bringing the total subscriber base to 8.9 million as at 30 September 2006. Driven by a massive 117% increase in volume of SMS messages, mobile data revenue continued to show encouraging growth, with revenue increasing by 31% to RM967 million. This represents 20% of total mobile revenue as compared to 16.5% in the preceding year. Earnings before Interest, Tax, Depreciation and Amortization (“EBITDA”) grew 4% or RM102 million to RM2.74 billion, with the resulting EBITDA margin reducing to 53.6% mainly due to higher traffic costs, increasing sales and marketing expenses and higher employee share option costs. Along with the increase in EBITDA, PBT improved by 10% or RM180 million to RM2.03 billion. The increase was mainly due to increase in EBITDA of RM102 million, cessation of goodwill amortization and the absence of asset write-downs. The year-to-date contribution from the Indian operations reflects Aircel as a 26% associate from 6 January 2006 and subsequently consolidated as a subsidiary of the Group from 21 March 2006. For the current year, Aircel contributed RM481 million in revenue, RM165 million in EBITDA and RM110 million in PBT, accounting for 9%, 6% and 6% of the consolidated Group’s revenue, EBITDA and PBT respectively. The Indonesian operations continued to sustain planned capital and operating expenditure in preparation for its commercial launch, incurring RM175 million in start-up losses year-to-date. The Group’s performance of the current quarter against the preceding quarter (3rd Quarter 2006 versus 2nd Quarter 2006) During the quarter, the Group’s revenue grew RM85 million or 4% on the back of satisfactory performance for the Malaysian operations (up 3%) and continuing good contribution from the Indian operations (up 20%). On a combined basis, the Group added 990,000 net subscribers to end the quarter with 12.7 million mobile subscribers. The Group’s EBITDA margin remained stable at around 48%. Therefore, notwithstanding the start-up losses in Indonesia, the Group’s profitability remains strong. The Group registered a PBT growth of 4% to RM642 million for the current quarter. Malaysian operations Revenue grew by RM43 million or 3% to RM1.73 billion as a result of 388,000 net subscriber additions and lower churn. Focused marketing and promotion activities during the quarter have yielded an encouraging impact on usage with postpaid Minutes of Usage (“MOU”) up 27 minutes to 493 minutes per subscriber. Quarter-on-quarter, Average Revenue Per User (“ARPU”) for postpaid is maintained at RM136 with prepaid ARPU declining marginally by RM1 to RM44. SMS revenue remains stable and saw a marked increase in usage of 20% supported mainly by an encouraging response to Hotlink loyalty programmes. Reduction in sales and marketing expenses in the current quarter following the conclusion of the 2006 FIFA World Cup events has largely contributed to the improvement in EBITDA margin from 52.0% to 52.4%. PBT of RM665 million was RM30 million or 5% higher than the preceding quarter mainly resulting from the higher EBITDA. Indian operations’ revenue grew by RM42 million or 20% to RM247 million mainly due to a strong increase of 19% or 605,000 in net subscribers (comprising 552,000 prepaid and 53,000 postpaid) to bring the total subscriber base to 3.8 million. Despite intense market competition, Aircel continues to maintain its market leadership position in Tamil Nadu and Chennai. Aircel’s operations in these circles have shown encouraging growth with 371,000 net subscribers added during the quarter. In addition, Aircel is making inroads in the North and North East circles. In these relatively low penetrated circles, Aircel recorded 234,000 new subscribers, representing a 48% subscriber growth rate. EBITDA rose RM14 million or 20% to RM83 million and EBITDA margin remained stable at 34%. PBT of RM49 million was RM4 million or 9% higher than the preceding quarter mainly due to higher EBITDA, partially offset by lower net finance income of RM5 million and higher depreciation costs of RM4 million. 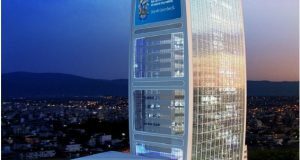 The Group’s Indonesian subsidiary, NTS, recorded a pre-tax loss of RM72 million in the quarter, mainly due to recognition of full quarter change of 3G spectrum fees and the related financing expenses. NTS in Indonesia remains focused on acquiring sites and building up its network for the ensuing commercial launch. With a market penetration of 26% and increasing economic growth, Indonesia continues to provide a compelling market for cellular business. Maxis Chairman Tan Sri Megat Zaharuddin, said, “I am pleased that the Company is managing our transition to becoming a leading regional player well, without losing focus in leading the market here in Malaysia. The results demonstrate our widening subscriber base will continue to add to healthy top line growth, as we invest in new technologies at home and new networks abroad to provide future profit growth opportunities. Maxis Chief Executive Officer Dato’ Jamaludin Ibrahim, said, “Despite the tough competition, we achieved good subscriber and revenue growth in Malaysia. We are also pleased that our marketing, distribution and organisation initiatives and network rollout have showed some results. Nevertheless, we need to implement additional initiatives to ensure continued performance. “The results and outlook from the Indian operations are encouraging. As an established mobile operator and a market leader in Tamil Nadu and Chennai, Aircel provides a continuing growth opportunity in these circles. In addition, Aircel is making strong inroads in the North and North Eastern parts of the country whereby Aircel is currently operating in five relatively low penetrated circles. Aircel is expected to launch commercial services in an additional two circles before the end of 2006, namely Bihar and Himachal Pradesh. “On top of the growth opportunity, we are pleased to declare a third interim gross dividend of 10.42 sen per share (7.50 sen net per share) consistent with our progressive dividend policy,” concluded Jamaludin. Previous: Prepaids: Truths or Lies?